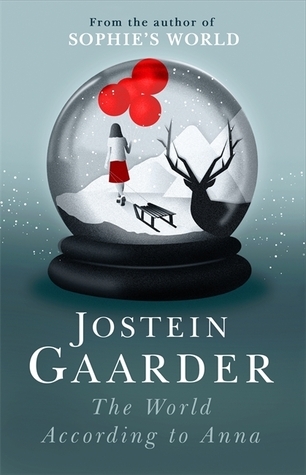 I remember I was thirteen (or thereabouts) when I first read Sophie’s World by Gaarder. The bookshop lady told me that it would be too difficult for my age but little Amalia had already developed her maddeningly stubborn, hugely- unresponsive- to any guidance- from any source self. And I marched straight ahead, holding the book -translated in Greek- tightly. I was hypnotized. It was the novel that introduced me to Magical Realism and I’ve always considered it a twin (although not as beloved) as The Little Prince. Years and years later, I ‘’met’’ Anna in this beautiful novel that laments the gradual; and certain decline of our planet. Anna, a sixteen year old girl from Norway, is deeply concerned about climate change and its dreadful results. Anna and Jonas are trying to raise awareness in their school community when she realizes that she is receiving dreams from a superb source. Her great-granddaughter, Nova, lives in 2082 and her daily life doesn’t include the species we all consider as granted. Our planet’s human population during Nova’s era is a little below one billion… Anna and Nova try to fight the disaster on two fronts in a story that is powerful, moving and frightening. The dialogue was the only weak part, in my opinion, hence the 4 stars. It is a work originally written in Norwegian and perhaps the translation wasn’t the best. Especially the interactions between Anna, Jonas, and Benjamin sounded wooden, unnatural. The parts between Anna and Niva were much better. They are interesting, sympathetic, determined characters and their thoughts and decisions fully reflected their personality. I suppose the translation didn’t succeed in expressing the unique tone of the Norwegian language.